What is A-Level Religious Studies? Religious Studies involves studying “The Big Questions” of life. Religious believers, agnostics and atheists enjoy the subject as we contemplate and debate both the views of great thinkers and particular moral dilemmas. Religious Studies is a course to meet an ever changing world with connections to the News and Ethics. The subject has produced sound results for over twenty five years. What makes a good Religious Studies student? A good Religious Student engages, thinks, questions, shares, communicates, collaborates, cares, empathises, reads, writes in a structured manner, reflects, self-critiques, organises, studies independently, takes a stand and teaches. What can I expect to learn in Religious Studies? Philosophy of Religion and Ethics entails a compelling and interactive engagement with key religious and moral debates concerning arguments for and against God, Miracles and Life after Death as well as key moral issues from Sexual Ethics to Feminist Theology and how we approach them. Students study a particular religion (at present Christianity) in a contemporary and moral setting. Where could Religious Studies take me? Religious Studies is an excellent qualification for any career which involves working with people from Business, the Law and Politics to Journalism the Media and the Caring Professions. 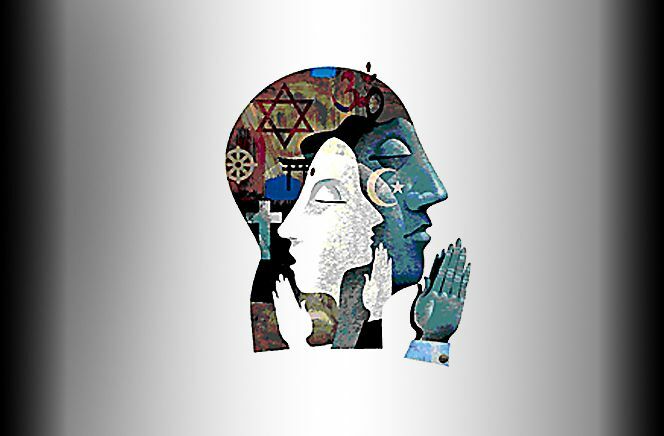 The wonder of Religious Studies at Advanced Level and beyond is the connections made with all subjects – Philosophy, Science, Literature, History, Geography, Drama, Economics, Psychology, Sociology and Politics. Religious Studies is a traditional and academic discipline respected by all universities and employers.